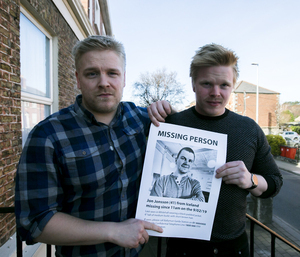 Daniel (above left) and David Wium, from Iceland, hold a poster of their brother Jón Throstur Jonsson who was last seen in Whitehall, Dublin at approximately 11am on February 9. Jón, age 41, is described as being 6 foot tall, of medium build, with short brown hair. When last seen he was wearing a black padded jacket. Reports suggest he was carrying a large amount of cash for a poker tournament in Dublin. If you would like to volunteer to help Jon’s family search over the weekend or help copy and hand out flyers, please contact findjonindublin@gmail.com or 0894431263. 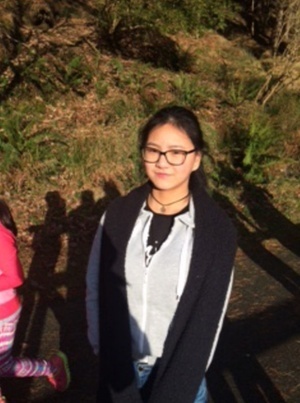 Anyone who has seen Jon or who can assist in locating him is asked to contact Ballymun Garda Station on 01 6664400. Have You Seen Tom? Have You Seen This Fender Telescaster? Have You Seen Yu? 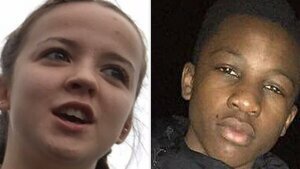 Have You Seen Nicole And Jason? 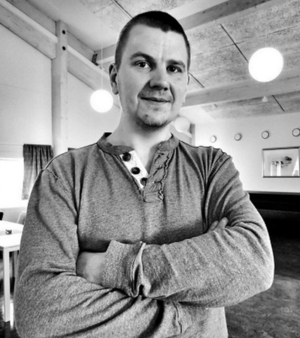 Posted in Misc and tagged Jón Throstur Jonsson, missing at 12:37 pm on February 22, 2019 by Bodger. I saw the posters on Grafton St yesterday. I hope they find him. Something just not adding up. Mr Wiiem said he left the hotel without a passport, wallet and phone. He said if his brother had cash on him it could have amounted to a “few thousand euro” which he said would have been for the poker tournament. Mr Wiiem said his brother’s fiancee had gone down to the bar to have a coffee and when she returned to the room Mr Jonsson had left. He added that it wasn’t known why he left the hotel. Mr Jonsson’s fiancee later reported him missing. I hope he’s found safe. Not the time or place Dav. Good luck to his family in their search. Praying he’s found safe ,it’s so sad ..